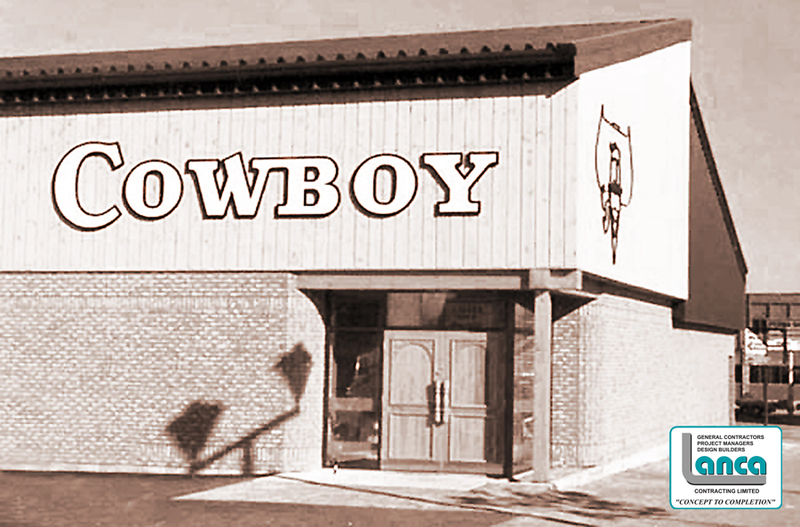 Cowboy Tavern – THEN & NOW – LANCA Contracting Ltd. The well know Cowboy Tavern was built in the late 1970’s by Lanca Contracting Limited. At the time, original owner of the building was Bob Markovich. It is an approximately 10,000 square foot facility, with a partial 2nd upper level used as additional bar service and a viewing lounge overlooking the dance floor, which was originally an indoor 3-point basketball shooting range for patrons of the bar. 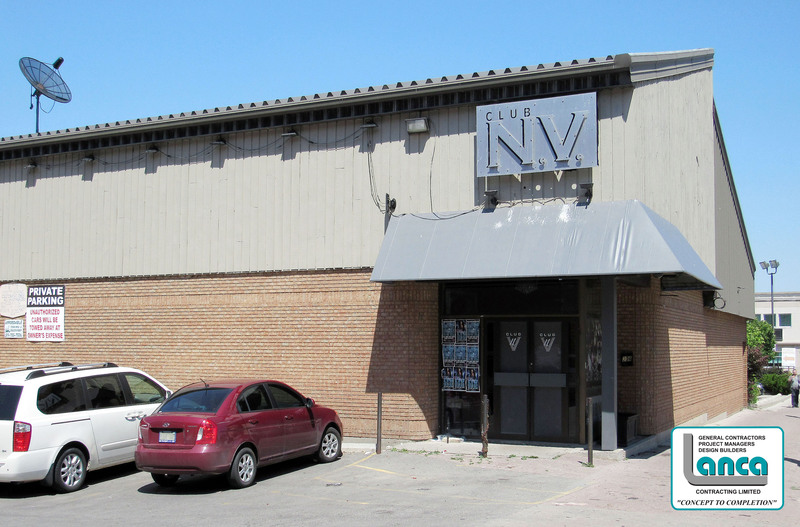 Most recently known as Club N.V. it has been running under this new name since 2009. Some of the other names the club was formally known for is club Nemesis, club 234 and Sportos. The property has since changed hands and continues to be one of Brantford’s largest night clubs.